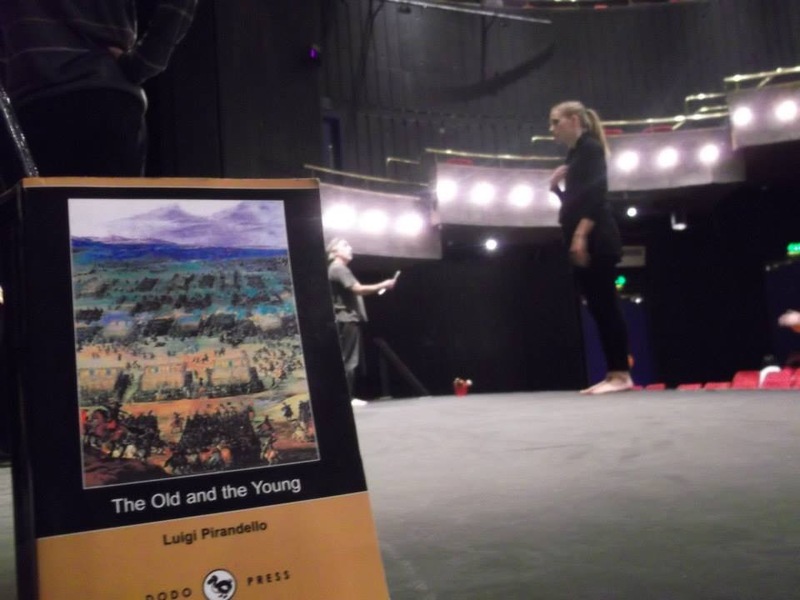 On Saturday the 9th of November at the Bloomsbury Theatre Legalaliens presented the devised physical theatre piece “The ineluctabiity of chaos” as part of a series of “scratch performances” inspired by Piradello’s novel The Old and the Young. 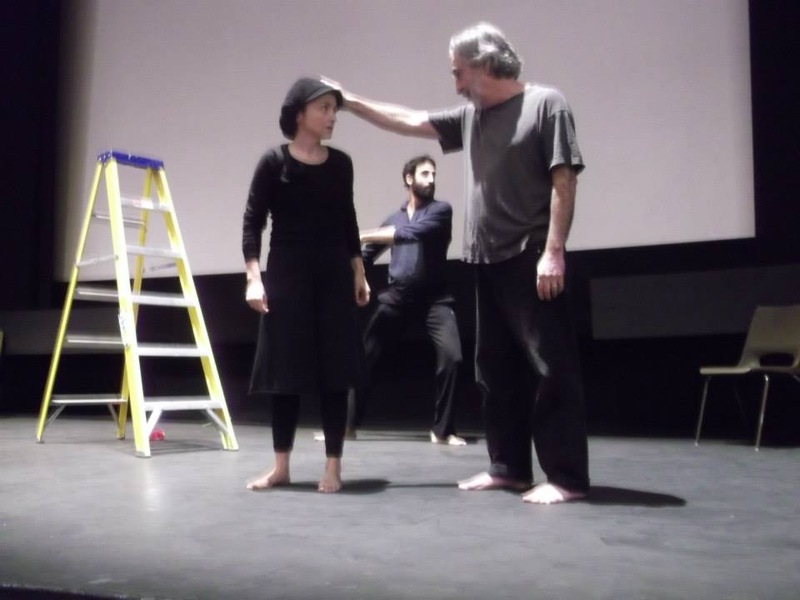 The performances were presented during a conference organised by British Pirandello Society to commemorate the 100 years since the publication of the book. But how to translate a 550 page volume into 20 minutes of theatre? The novel itself is a mystery and a challenge. A “wannabe” historical saga that keeps losing tracks of its heroes to fragment itself in hundreds of different sub-plots, populated by very theatrical characters, The Old and the Young presents no straight narrative, no lead man to identify with, no redemption and no tragedy. Although four main characters die by the end of it, their deaths aren’t tragic but absurd and totally accidental. It’s as if, whilst desperately trying to honour the memories of his parents – who fought with Garibaldi in 1860 – and the form of the classical historical novel, Pirandello ended up packing a myriad of potential characters from his future plays into one humongous tome about Italy, its corruption and its moral decline. How does a text designed to break the form of a novel become a piece of theatre that challenges the assumptions of performance? How do we approach translation – from Italian, to English, to the body, and back? How do we undertake such grand-scale work in an environment that compresses process and emphasizes product/performance? Emerging from actors’ work physical and verbal scores and mining Italian political slogans and songs from the Garibaldi era, the resulting performance explores parents and children, corruption and capitalism, political aspiration and apathy with a physical vocabulary and vocal landscape that never resolves, but remains poised on the edge of control. But would the new young Italy be any better than the old? 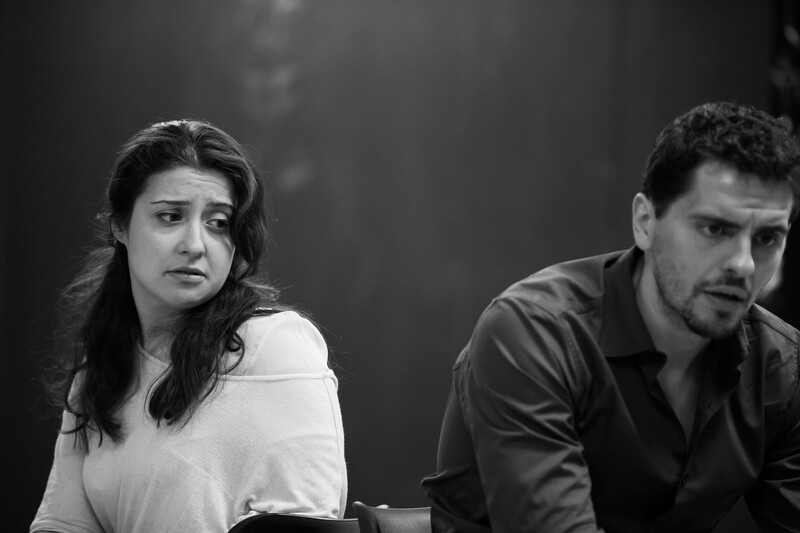 We’re delighted THE RETURN, the first ever translation of the award winning play by Sergio Pierattini, has been selected to appear at the beautiful St James Theatre Studio, in the heart of central London, as part of the Studio’s Play Week. The St James is a newly refurbished state of the art venue, located at 12 Palace Street (off Buckingham Palace Road, 2 minutes from Victoria), London, SW1E 5JA. 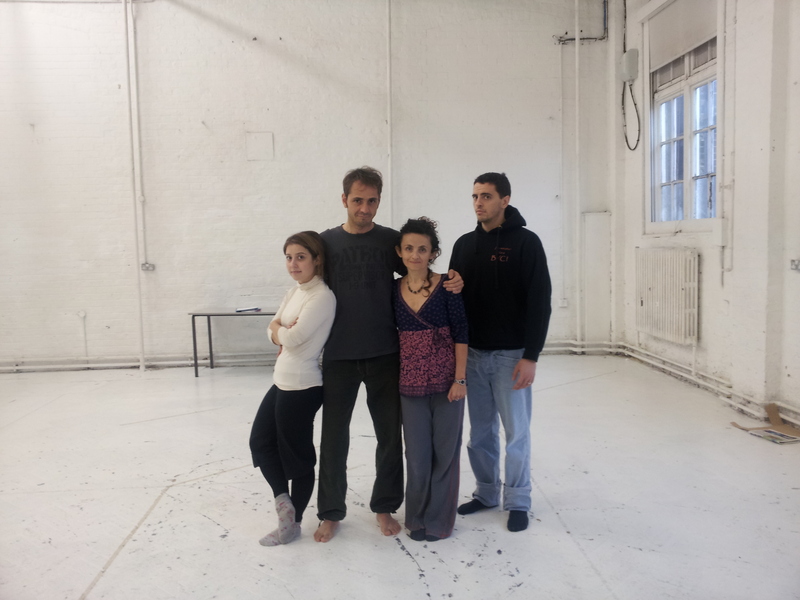 Excited by the chance we were offered, we went back to the rehearsal room, and what an exciting process it has been! We found some new nuances in the text and also decided to explore it physically, using the transitions between scenes to go deep into each character’s feelings. The language of the translation has also been tweaked to give even a more accurate sense of the original linguistic landscape. But let’s not give too much away, you’ll have to come and see it! Bookings are open so buy your ticket before it’s too late! 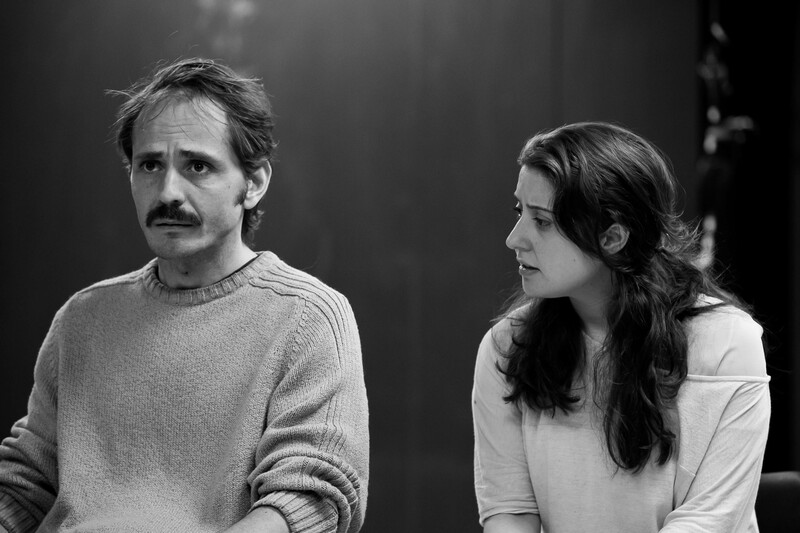 And now as a preview, some pics straight from the rehearsal room, by our great photographer John Watts. 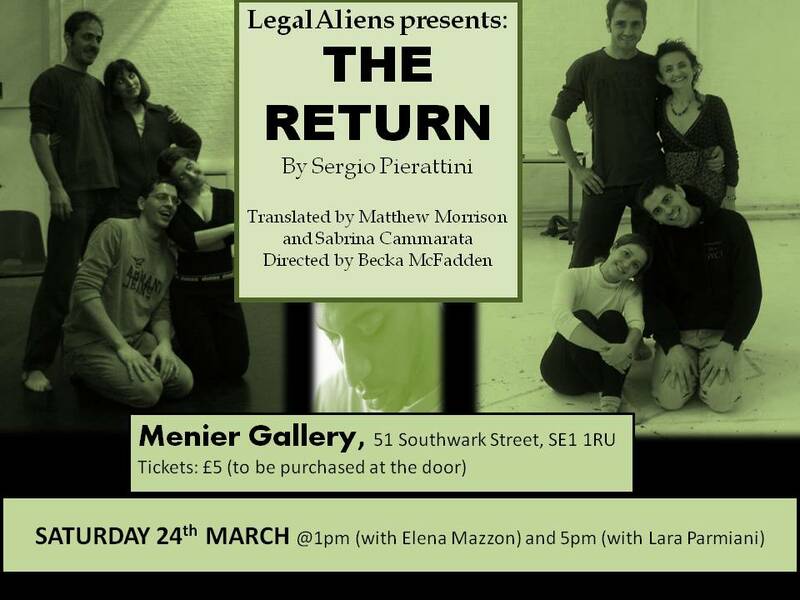 The Menier Gallery has organised an art and theatre festival running from the 15th to the 31st of March in its lower ground, and we’ve been invited by artistic director Linnie Reedman to perform The Return at 1pm and 5pm. This will be the official premiere of this play in English, and all form of feddback will be highly appreciated. Please come and support us, give us your comments and enjoy the play! 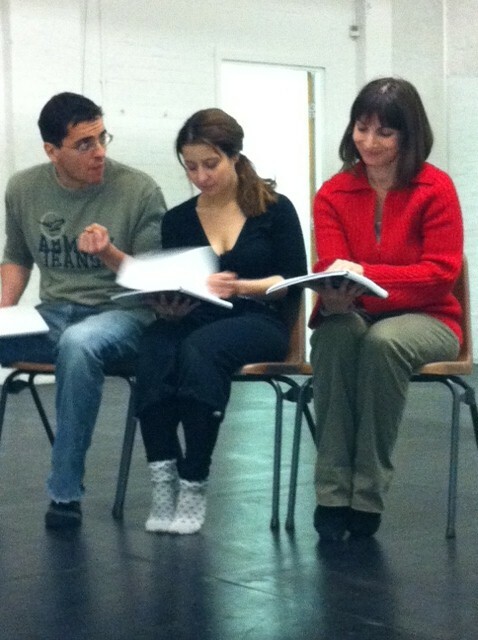 LegalAliens offer short extracts from contemporary Italian theatre for advanced student of Italian. The aim of the show is to give students of Italians an overview of Italian contemporary culture and to expose them to modern spoken language. 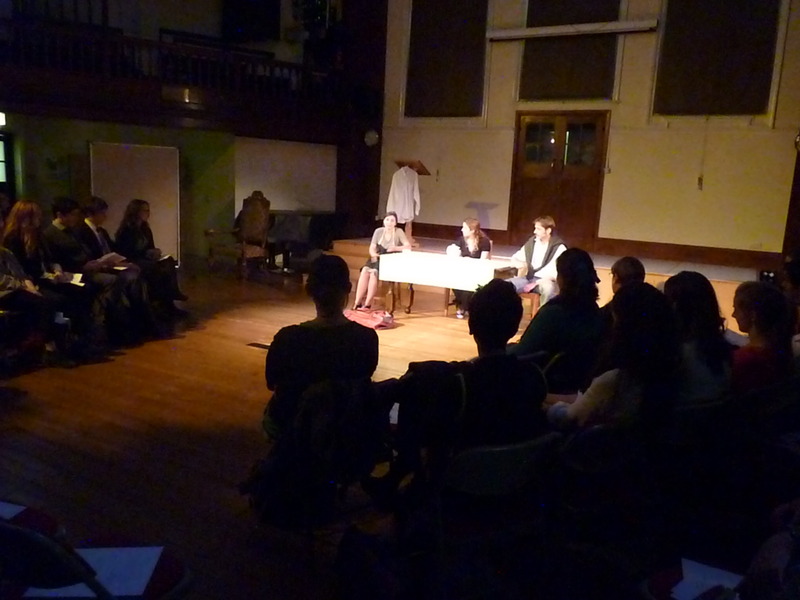 Audiences are provided beforehand with synopsis, introduction to the play, vocabulary list, and activity booklet. and Ne’ qui ne’ la’ by Maggie Rose. 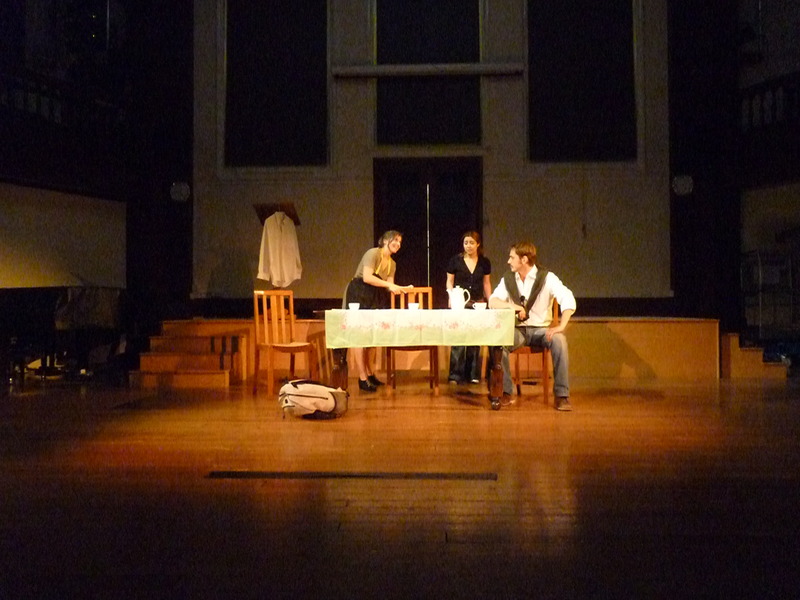 All the extracts are acted in Italian and present characters facing issues – immigration, racism, family relationships – relevant to modern Italian society (and also part of the curriculum). 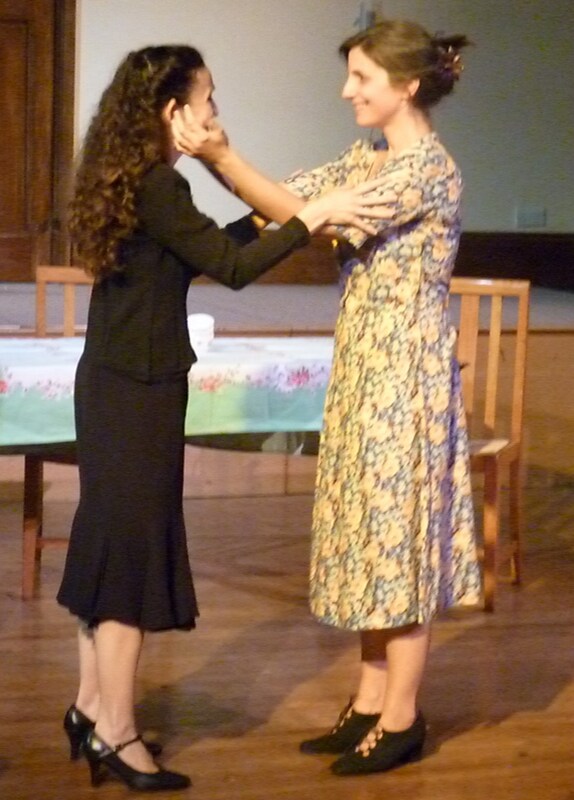 We specifically chose plays offering an image of Italy different from the usual stereotypes. Plays depicting the country’s real problem, the degrade of industrial areas, the degeneration of traditional family structure etc. 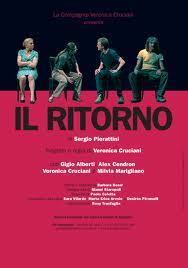 Il Ritorno/The Return, by contemporary Italian playwright Sergio Pierattini, premiered during the 2007/2008 season to critical acclaim, winning the Critics Award for best new play. 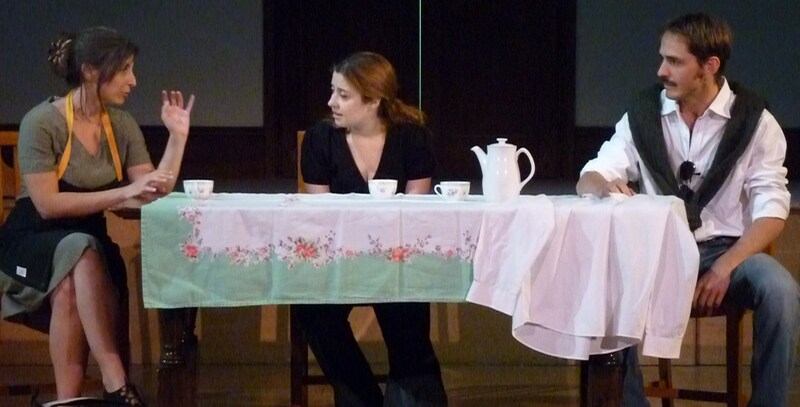 Set in Bergamo, Northern Italy, the play takes place in the kitchen of an Italian family, whose daughter has recently returned from a long absence. As the plot the develops, it is revealed that she has spent the past seven years in prison for the death of her fiancée, a Moroccan immigrant who had been employed by her father. 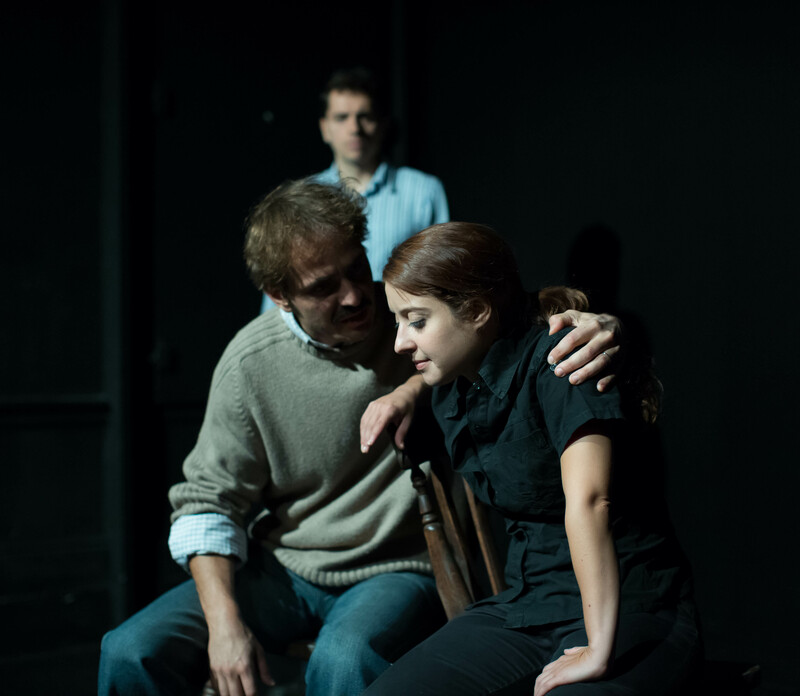 Pierattini’s script juxtaposes the seriousness of the material, and its commentary on intercultural relations, with darkly humorous dialogue, a surrealist sensibility and a creeping sense of claustrophobia to capture the disintegration of the traditional Italian family. 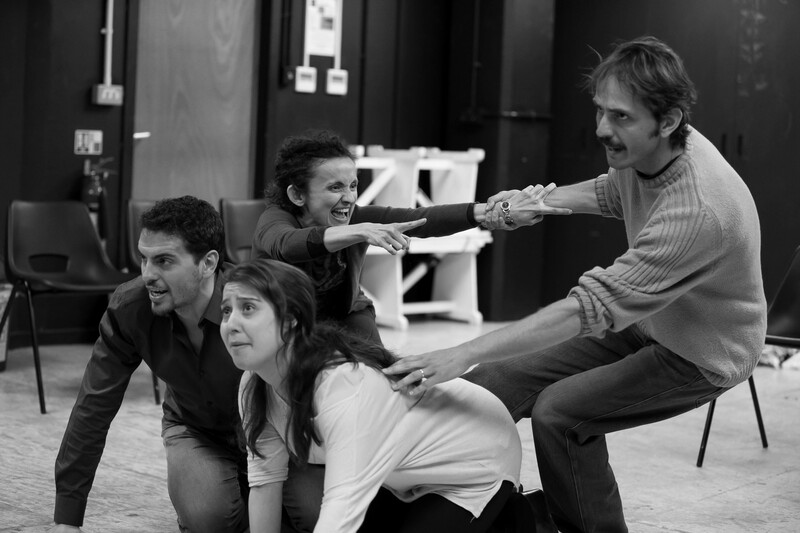 The play is based in part on on-site research conducted by Pierattini in Bergamo, a city that has experienced rapid change as a result of industrialization in the 1960s and 1970s. 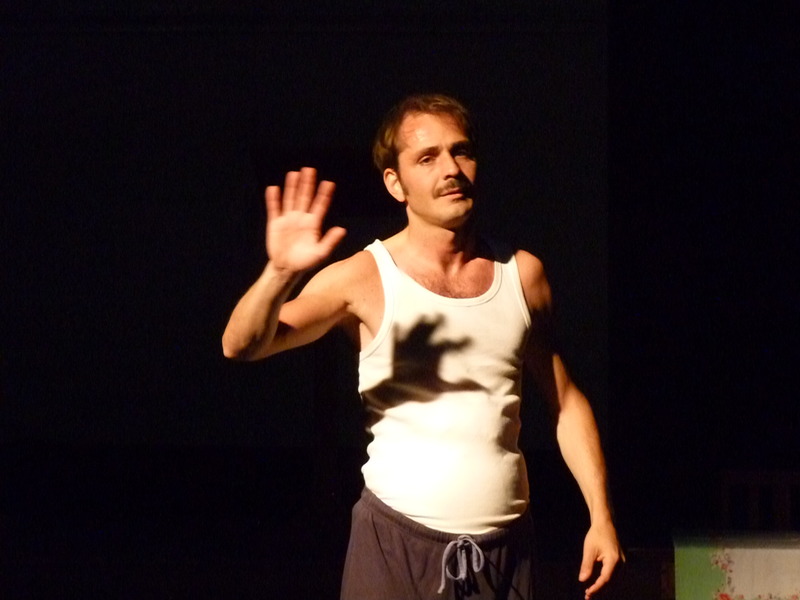 Pierattini interviewed newly wealthy locals in the gentrified suburb of La Malpensata and recent immigrants in the centre city neighbourhood of Via Quarenghi; the complex picture that emerged is reflected in the play, prompting critic Rossella Battisti to describe the playwright as “a sensitive narrator of small, contemporary tragedies” (L’Unita, 2008). 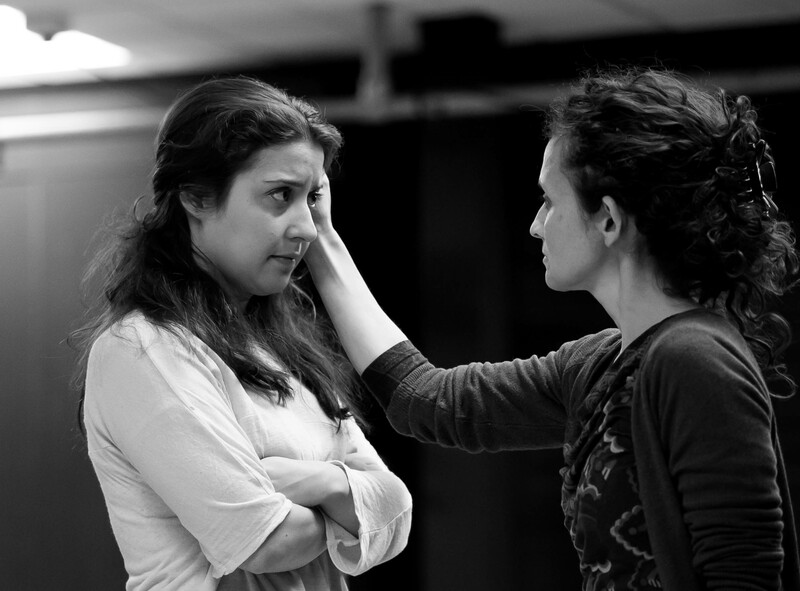 While the play’s given circumstances arise from a specific Italian context, British audiences will likely see parallels with contemporary life in the UK as they discover a darker, less-familiar side of Italy. Born in Sondrio, Northern Italy, in 1958, Sergio Pierattini graduated from the Accademia Nazionale di Arte Drammatica “Silvio d’Amico” in Rome and since then he has been active as a writer, actor and director. 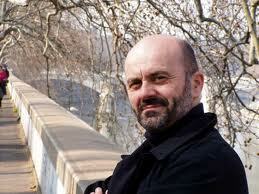 Since 2005, he has taught radio playwriting at the National Film School in Rome. His award-winning plays include The Return (Best Play, National Association of Critics 2008; short-listed for the Ubu Prize); Un Mondo Perfetto (Special Jury Award, Riccione Theatre Festival 2007); Il raggio bianco (Flaiano Prize 2006); and La Maria Zanella (The Ubu Prize 2005). 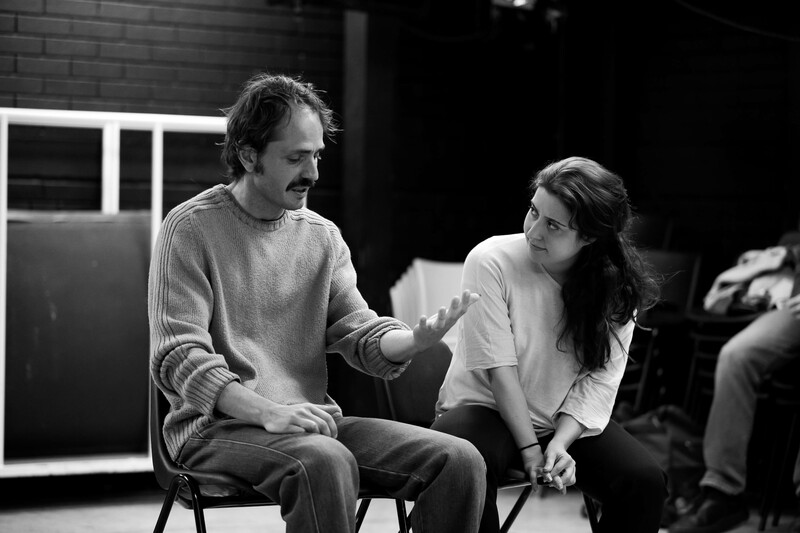 We were lucky to strike a collaboration with translator Sabrina Cammarata and playwright Matthew Morrison, whose work has been recently produced by renowned London theatres such as the Gate and the Finborough. Their greatest challenge was to re-create the “colour” of Northern Italian in English. 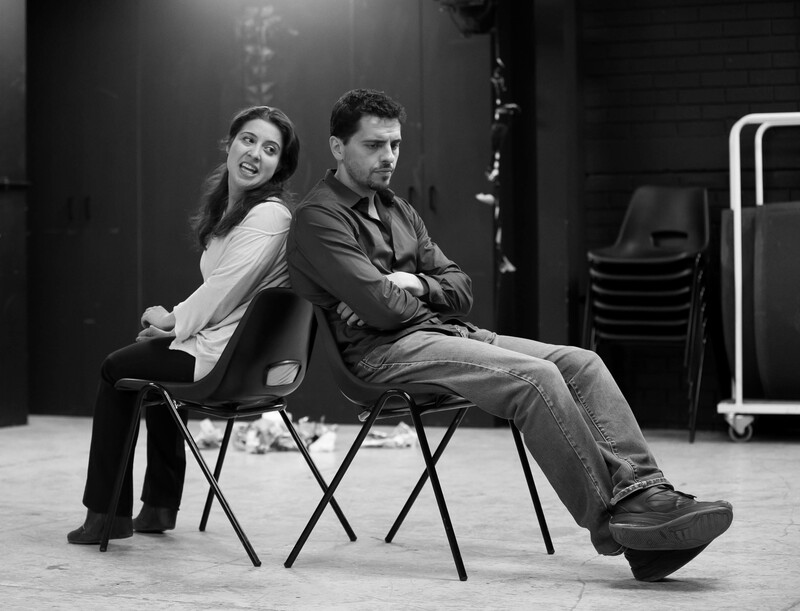 Since we firmly believe our strength lies in our being a non-British group presenting a foreign play using foreign accents, we decided with Matt and Sabrina NOT to use an English dialect. Not only because it would be ludicrous for us to pretend to be from Sheffield or Nottingham, but mainly because we chose this play for ability to talk about universal themes through events taking place in a very specific context. But how to translate Northern Italian idioms in English? How to recreate an homogeneous world that an audience will “get” straight away? These are the challenges we’ve battling with. 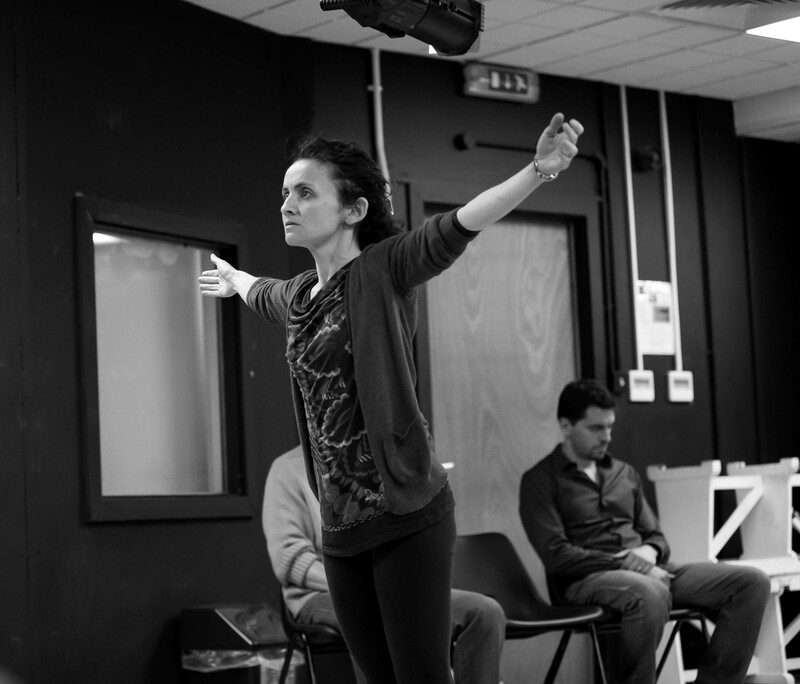 In order to have a feedback and create an interest towards the play and its themes we have been offering workshops to University students of playwrighting, translation studies and Italian. 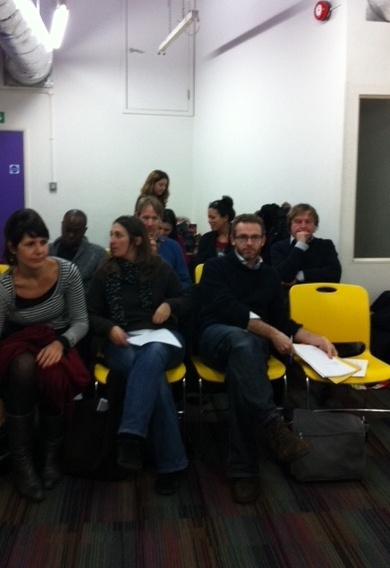 We’ve also presented a first draft in front of a selected audience of writers and directors at the Actors Centre in December 2011. Encouraged by the feedback we received, and more confident about our choices regarding language and translation, we’re now entering the process of production. 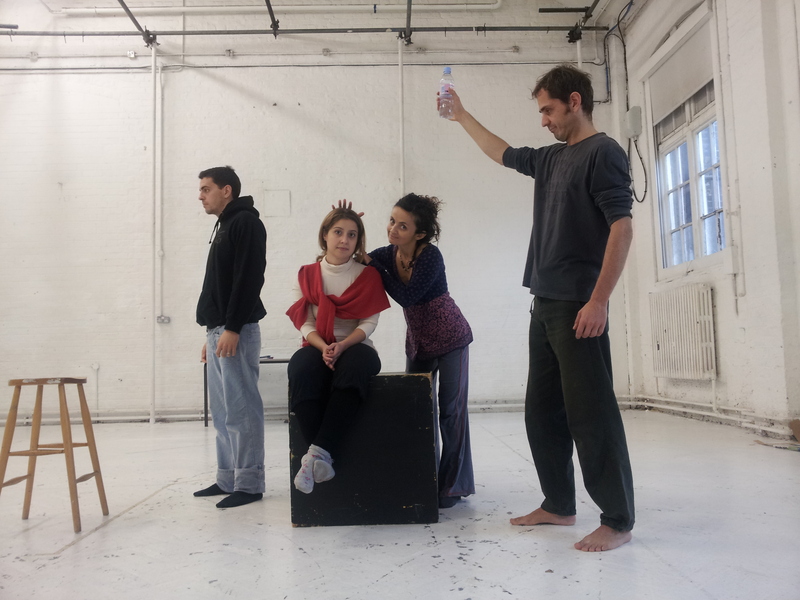 Our cast – Jean-Paul Dal Monte, Elena Mazzon, Lara Parmiani, Anna Elena Pepe and Federico Zanni – will be directed by Becka McFadden, who has previously directed LegalAliens in “Neither here nor there”. 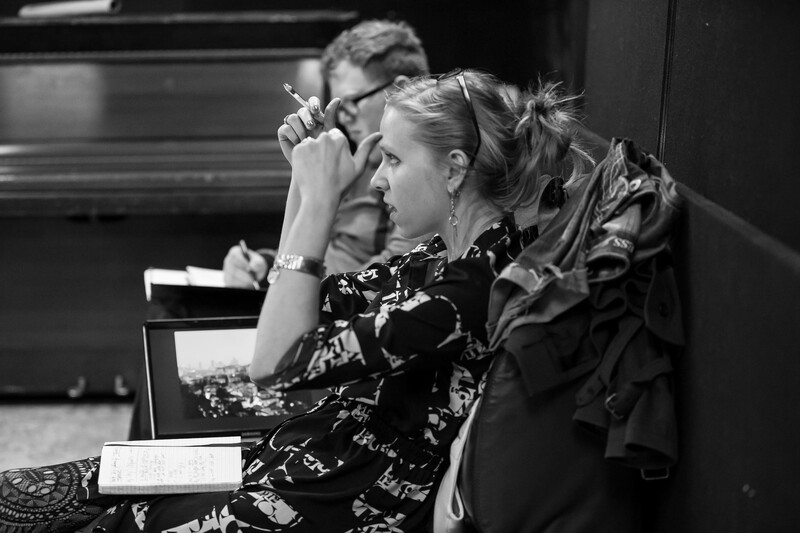 In order to raise funds to cover for our work and expenses for this first stage of the project we’ve applied for Arts Council Development funds. However, in the present climate, public funds are hard to obtain, therefore we’re also organising fund-rasing events such as parties and raffles and we warmly welcome donations.